Lakota moons did not follow today's 12-month calendar. Instead, the moons followed each season. Spring, summer and fall each had three moons, while winter had four. Below are two breakdowns of the moons ... one according to traditional Lakota thought and the other based on today's calendar. During this time of year, everyone experienced difficulties. Food was in short supply; the weather was fierce. Yet, the Lakota (Sioux) people prevailed. As a new moon arrived, the Lakota people noticed a great change. Trees on the Great Plains popped and burst as their branches became laden with winter snow and ice. Spring was on the horizon; however, the next moon phase continued the cold winter tradition. Now, the people were subjected to blinding sun rays banking off of the snow. This moon was named for the female animals. During this time, those carrying babies were at their largest before giving birth. Warmer weather made its way onto the prairies in this moon phase, and the pleasant temperatures meant it was time to plant. As hunters/gatherers, the Lakota people gauged seasons by the types of food they could find. During this moon, the berries were fresh, tasty and red. Chokecherries and other berries grew black (sapa) as the summer wore on. 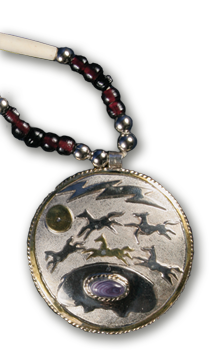 This moon phase also marked a time for one of the most sacred Lakota rites … the Sun Dance. This phase was a time to harvest what had been planted. The Lakota (Sioux) people were great stewards of the land, and they used every part of their harvest. The weather began to change, and soon the trees responded. This phase was named for the beautiful shades of autumn leaves. Gi means brown. Autumn weather had settled into the Great Plains at this time. And, as the Lakota people prepared for winter, the trees also prepared by dropping all their leaves. Today, we think of Thanksgiving; however, in traditional Lakota times, this moon brought about the cooler temperatures. Everyone started thinking about winter. Cold winter temperatures and blistering winter winds were upon the prairies during this time; however, the Lakota people noted the moon by the deer shedding their horns.